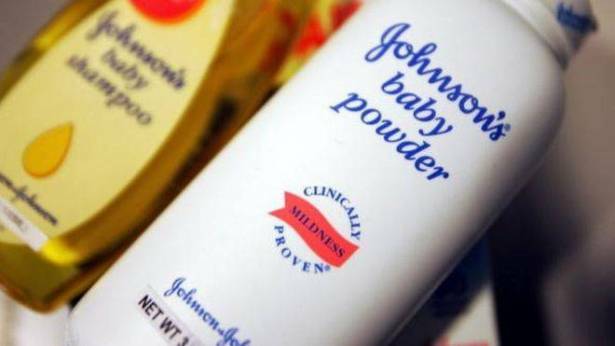 The California jury's decision marks the largest award yet in a string of lawsuits that claim the firm did not adequately warn about cancer risks from talc-based products. A spokeswoman for Johnson & Johnson defended the products' safety. "We will appeal today's verdict because we are guided by the science," Carol Goodrich, spokesperson for Johnson & Johnson Consumer Inc, said in a statement. Johnson & Johnson, headquartered in New Jersey, faces thousands of claims from women who say they developed cancer due to using the firm's products to address concerns about vaginal odour and moisture. The verdict included $70m in compensatory damages and $347m in punitive damages.